I started running in the summer of 2012. Looking for a hobby, I came across the Black Girls Run! (BGR!) Group online and looked to see if there was a chapter in Augusta, GA. I joined the Augusta chapter in September and asked about runs in the Grovetown area. Karen M. had been running in the Grovetown area and welcomed me with open arms. Yay!!! I still remember running with her in the beginning. She usually started out earlier than I did to get her mileage in (I was glad for that because I didn’t want to slow her down). I wasn’t used to running on the pavement; I started out running 2-3 miles on the treadmill at least 3 times a week. Hitting the pavement was a big adjustment on top of all the hills in Grovetown but I stuck with it. Being a newbie, I had no idea about ‘bling’. I still remember Karen telling me she ran for bling (what the heck was bling?). 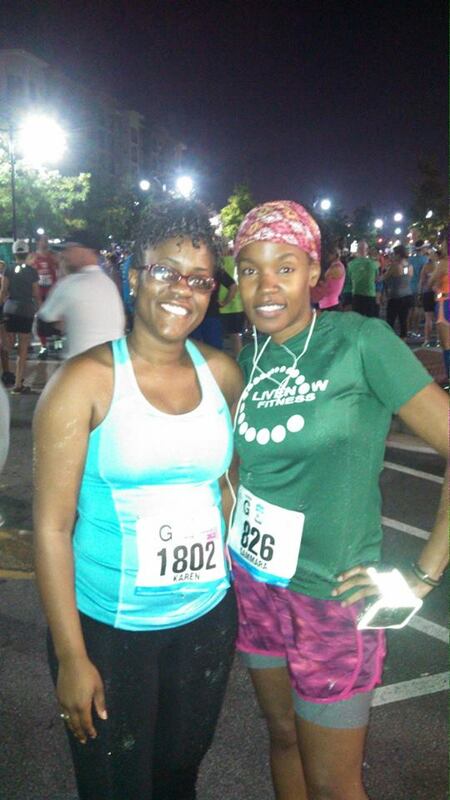 I signed up for my first half in October 2013 in Atlanta, GA (the Allstate Half Marathon) and my run buddy was right there with me #WINNING. I now run for bling!!! My very first half with my sole sistah Karen!!! Running keeps me looking and feeling fit. It gives me energy, strength and endurance when doing other activities. I love setting goals and actually getting them done. As I said above, I started out with running 2-3 miles on the treadmill. I remember when I first hit the pavement. My goal was to run at least 5 miles nonstop. It took me a while but when I did, I felt a sense of accomplishment. I also enjoy the social aspect when it comes to running. Being a part of BGR!, National Black Marathoners Association (NBMA) and Team Red, White and Blue (RWB) has really made a difference in my running. Reading posts from other sole sistahs and team members really inspires and motivates me to keep pushing, to keep reaching for my goal(s). I also enjoy the personal challenge of running. The challenge of pushing my body is very empowering. After my first month of running with the BGR! 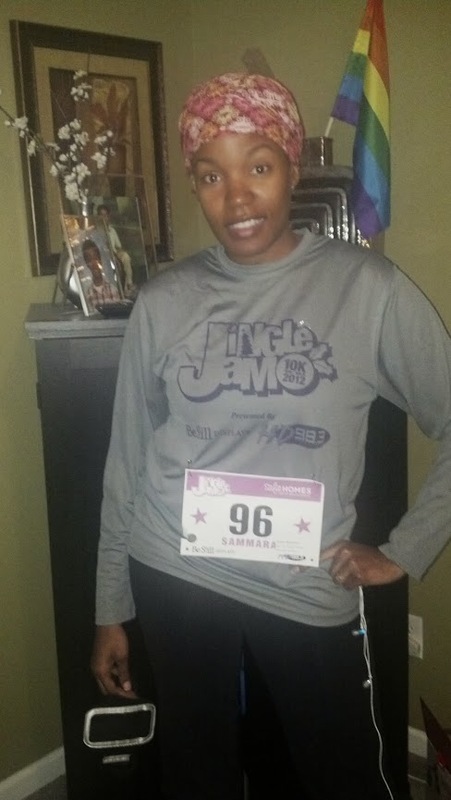 Augusta family, I signed up and ran my first 10K in Dec 2012 (Jingle Jam 10k). What does training for a race look like for you? How many miles do you run a week? My training plan right now has been divided up into four mesocyles that consist of four weeks of training for each cycle. When I first started out, I was just running, not really paying attention to form or speed. As time passed, I noticed my pace was improving but it wasn’t consistent. 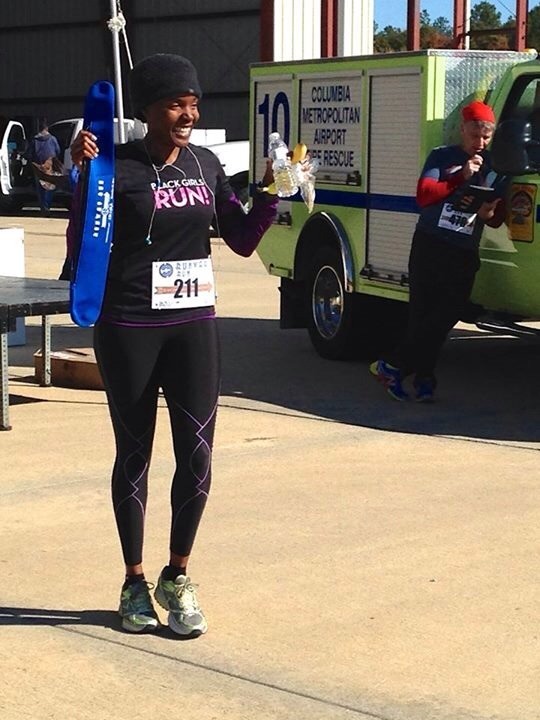 After running Ragnar DC last year, I really wanted to focus on my form and speed. I found a running coach in the area and he has worked with me on form and speed. Over the last few months I have seen major improvement in both areas. My training includes speed work and cross training with a few hills thrown in every now and again (it’s pretty hard avoiding hills in Columbia). When I’m training for a race I can run anywhere from 25-40 miles a week. I find it very difficult to run without music. I have turned around and went back in the house a couple of times because my music player did not work. I need to be pumped while running, so my music needs to have a fast beat. I just created a playlist that includes, Jay-Z, DMX, Beyonce, Beastie Boys, Nas, Ncki Minaji, Tweet, 50 Cent, Prince and even Taylor Swift (I love that song Blank Space) just to name a few. Back, middle or front of the pack runner? Front of the pack. When I first started out, I would just head to the back of the pack (unless they had the start marked off by the estimated time of finish). Nowadays, for smaller races (5k—15K) I tend to start in the front of the pack. You can typically find the most aggressive runners near the front. That’s great for me because I usually just pick one out of the bunch and try to stay with them or ahead of them. This really worked for my last 5k I ran (placed in my age group). How do you feel before/after a race? I’m always nervous before a race and usually end up tossing and turning the night before. I go into every race thinking ‘my race my pace’ but I know I always want to do better than my last run. After a race, I feel really good and accomplished (especially if I just set a personal record (PR)). Knowing that I put in the work to actually finish running a race at a pace that works for me is usually a BIG DEAL!!! Ever win in your age group? Yes. I ran in the last Runway Run 5K in Columbia, SC and placed 2nd in my age group. Like I stated before, I never go into a race expecting to win anything (my race my pace)…but that win felt really good. You can read all about the Runway Run 5K here. I have noticed that after every race (especially a good run), I tend to stay back to hear and congratulate the winners. Never thought it was a possibility but now I know that it is and can be!!! You have any races coming up? 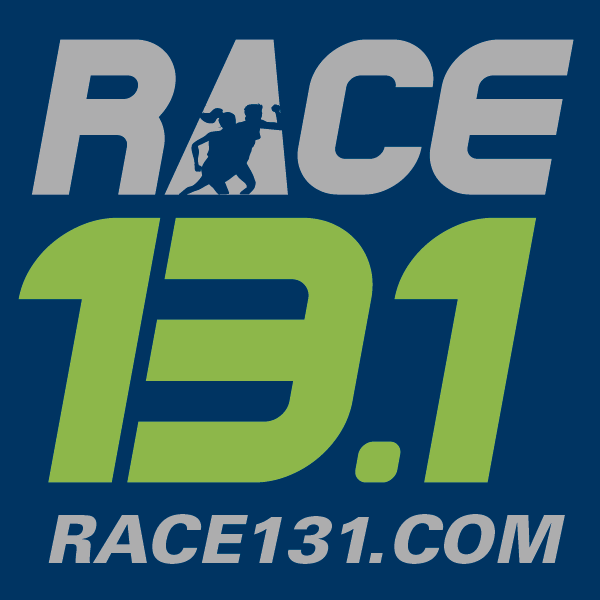 I have a few races on the books; The Gamecock 6K at the end of February, the Palmetto 200 (relay race) at the end of March and the Rock n Roll Raleigh Half Marathon in April. I have a few more that I’m leaning towards, just haven’t made a full commitment yet. When do you think you will stop running? Any advice for new runners? Invest in a good pair of running shoes. Go to a specialty store and have your gait analyzed to aid in your decision on a good pair. Make running a habit. Join a running group in your area. Know that walk breaks are okay. Keep a running log (like Nike plus, mapmyrun, garmin connect, etc.). Start out by making small attainable goals and build from there. Know that you can do it…just MOVE!!! I really enjoyed reading this….good job!!! Thanks for stopping by to read it!!! I’m sorry you’ve been feeling poorly 😦 Hope you’re feeling better now! I enjoyed reading this interview – very cool! Thanks dgobs!!! Yeah I’m feeling better than last week :)…even got a run in this morning!! !